Extremely Important:Please install it very professionally, if not, please do not try. Please remember insert the lcd skin temp sensor cable,if not ,the cooling fan may not working,making noisy,or the imac will be overheating. Also,pls insert the lvds cable well,if not ,the screen may not work. 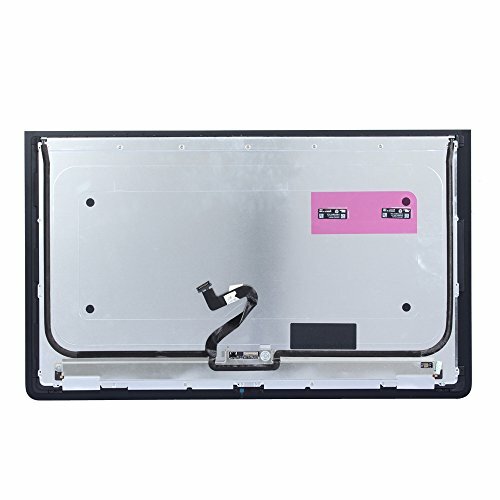 Note: You will receive a 100% compatible lcd screen.The exact brand,part number and package of the lcd screen you will receive is determined by market availability. If you are unsure what your current specification is, please contact us and we will gladly help. Tips:1.Pls remember insert the lcd skin temp sensor cable,if not ,the display will be overheating,drawing more power.2.Pls insert the backlight cable correctly and make sure your logic board is work well,if not ,the display may has no backlight .3.Pls make sure the lcd cable insert correctly,if not ,the display may not work well ,or has no image. If you have any questions about this product by willhom, contact us by completing and submitting the form below. If you are looking for a specif part number, please include it with your message.